Get Your Share of Al Capone’s Pocket Change! In the 1920s, real-life gangsters like Al Capone used these big Silver Dollars for everything from rum-running to speakeasies. The link between the racketeers and the Silver Dollars was so strong, that in the movies, the gangster flipping a Silver Dollar became an immediately recognized icon - nothing more had to be said. The audience just gripped the arms of their seats and waited for the tommy guns to start blasting.Today, Gangster Silver Dollars can be hard to find. So, when we finally located a supply dated 1923, we snapped them up. 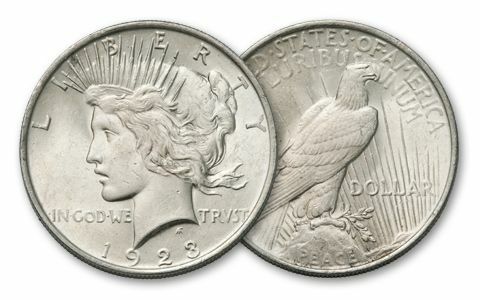 Now, you can get your share, each in Brilliant Uncirculated (BU) condition. They were coveted by gangsters before, and they’re coveted by today’s serious coin collectors, just like you! Imagine! 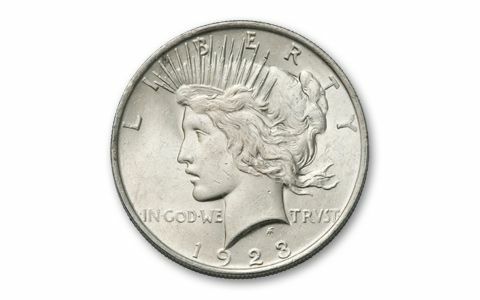 Your Silver Dollars could have been in Al Capone’s pocket when he was arrested for tax evasion! Even better, you get these Gangster Silver Dollars for 54% off what they sell for elsewhere - with no risk of jail time. But, order now or you risk missing out on this find! Dates vary.